For many photographers, the drawings of artists part of the photorealism movement can be equally as captivating as images captured through the lens of a camera. Gladstone 64 is now exhibiting one of the movements pioneers, Robert Bechtle, to start the spring. An early pioneer of the Photorealist movement, Bechtle has worked for nearly 60 years visualizing a characteristically American setting through depictions of friends, family and streetscapes in his native San Francisco Bay Area. This exhibition focuses on Bechtle’s charcoal drawings that illustrate the residential streets of Alameda, and pays special attention to those which complement light and shadow, architecture and automobile with distinct photographic precision. In this latest body of works, Bechtle demonstrates his deeply attuned and uncanny personal approach to documenting contemporary American culture with extraordinary accuracy. Created in 2016 and 2017, Bechtle’s new series of drawings captures an indiscernibly timeless view of northern Californian suburban life. 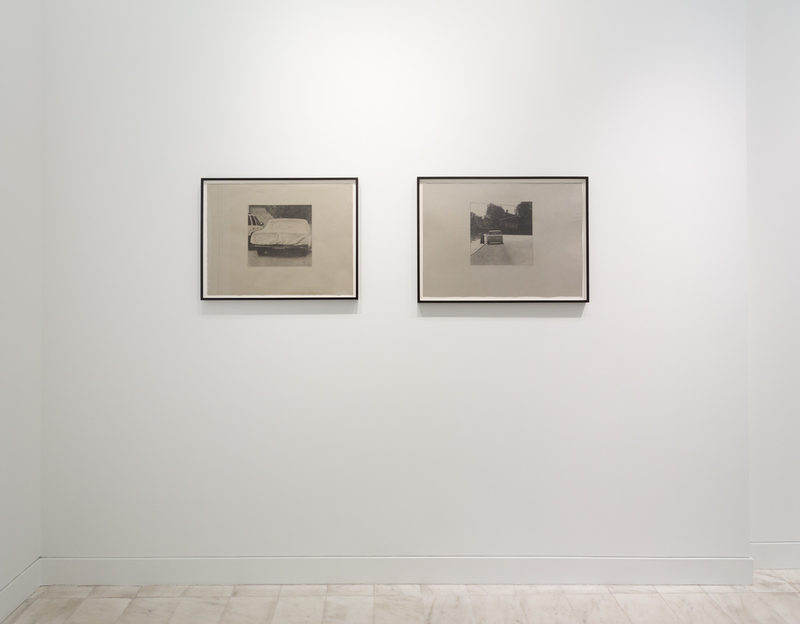 Composed with sharp attention to detail, modest visual clues shed light on the contrasting soft and delicate quality of these charcoal drawings while new vantage points offer equally distinct shifts to the far right or left of these frameworks. Alameda, the recurring city in these works and in Bechtle’s oeuvre altogether, is alluded to through his inclusion of small bungalow homes and globe-topped streetlamps, which originated in this particular municipality in the early 20th-century. Bechtle spent many of his early years in Alameda, and he captures this community and landscape through incisive, square-format drawings that glimpse more deeply into the banal and the all too often overlooked. By illustrating multiple perspectives of this city through monochromatic drawings, Bechtle quietly shapes the pauses and shadows that find or leave us and displays how photography, memory and personal history influence these meticulous compositions. Often inspired by his own photographs, Bechtle’s intimate drawings demonstrate his astute and cinematographic vision, through each work’s methodically framed compositions and through his unequivocal attention to capturing divergent forms of natural light. Bechtle’s drawings appear like stills from a noir film, quietly examining forlorn, desolate sidewalks and vacant cars that line unidentified streets. This psychological dramaticism is reiterated through sharp and exacting image crops, which force the viewer into a condensed and eerie narrative showing no evidence of who or what might occupy the space outside these scenes he presents. Bechtle is also able to masterfully recreate morning, afternoon and evening light, heightening the palpable realism he captures in these constructed narratives, providing a glimpse into his ever explorative eye. The exhibition will be available until April 21st, 2018.